2017 was a great season for the Rona Sailing Project, with Rona II and her crew of 16-25 year olds participating in the epic Transatlantic Tall Ships Race, visiting Portugal, the Canaries, Bermuda, Canada, America and France. Closer to home not only was a full Sail Training Voyage programme run on Donald Searle and Merrilyn, visiting ports on the South Coast of England, France and the Channel Islands, volunteers and crew also visited Ireland and participated in the ASTO Small Ships race. 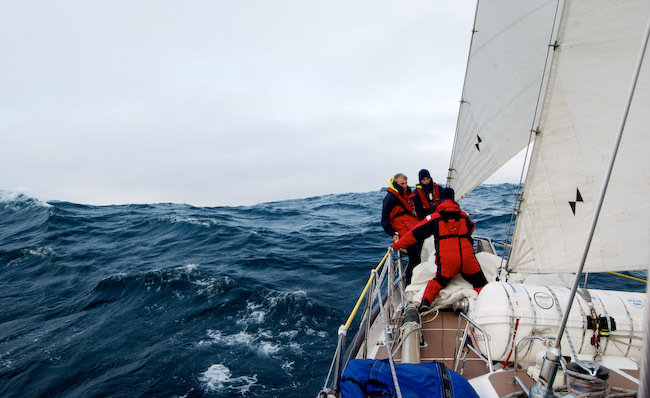 The Rona Sailing Project asks all trainees to complete a Feedback Form at the end of their voyages. There are various questions, which we use with a view to getting better at what we do. However we are particularly proud that 99% say that they would recommend the Project to a friend, and 98% that they have made new friends.